HONG KONG, CHINA – SEPTEMBER 13, 2012: View from the upper deck of the double-deck tram passing by the street of Hong Kong, China. 4k01:00NEW YORK CITY - DECEMBER 2018: Traffic and people along main avenue on a rainy day as seen from a moving camera. 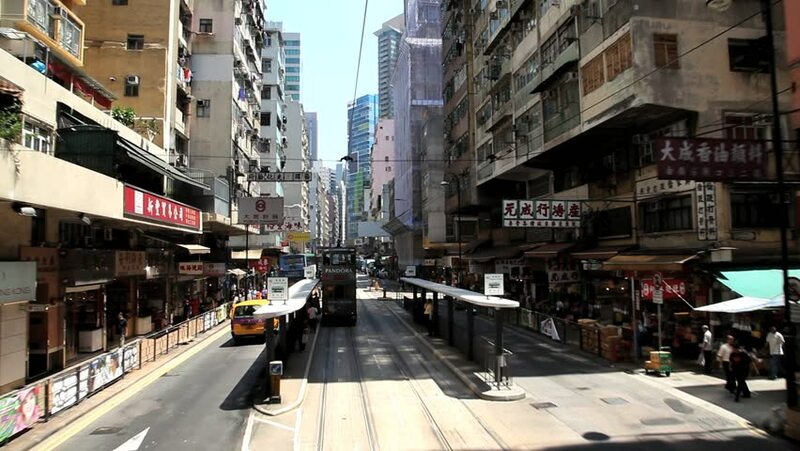 4k00:12Hong Kong - January 24 2018: Cars, buses and tramway cars rushing in the crowded street of North Point residential district in Hong Kong island in China SAR. hd00:51TOKYO, JAPAN - JANUARY 29, 2017: Shibuya Intersection in Tokyo, Japan. The Most Famous Crossing in the World.